The cannabis industry has been caught up in a sharp increase in market and media interest from investors amid the shift towards legalisation of marijuana in Canada and the US. 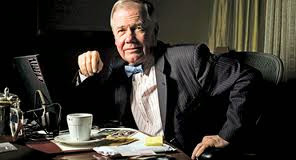 World-renowned investor and chairman of Rogers Holdings, Jim Rogers says cannabis ‘is going to be a great investment if you find the right companies and the right prices'. Speaking in a video interview with IGTV, Rogers said he is ‘extremely interested’ in the market which ‘is going to get bigger and bigger’. The author of Hot Commodities, who co-founded the Quantum Funds with George Soros, says he has a private cannabis company in Colombia but does not have public stocks at the moment, adding ‘I wish I did’. No sound! Couldn't hear it.